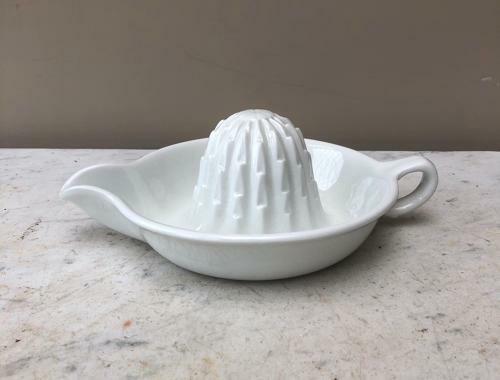 Wonderful condition Early 20th Century Maling White Ironstone Grapefruit Squeezer. Great size and a very useable piece...great for oranges or lemons too. Large saucer base to hold the juice and pourer to the side. No damage at all and wonderfully unstained and clean. Light crazing as expected. Maling stamp underneath.